Like any good neighbour, the United States is Canada's biggest contributor to tourism. It will likely come as no surprise, that of all the people coming to visit Canada, residents of the United States are the most represented; but, what other countries may have Canada on their radar as a vacation destination? Who is most likely to stop you for directions? First, the serious stuff: travel insurance. No matter where the plane took off from, visitors to Canada travel insurance can ensure that a visit to Canada isn't remembered for all the wrong reasons. Canada's well known health care system does not offer free medical care to visitors or tourists. 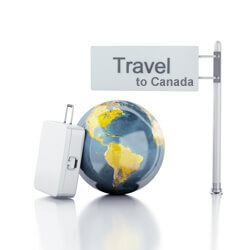 For vacationers coming to Canada, health care can be costly without visitors to Canada travel insurance coverage. It's simply, a smart purchase. Updated annually to reflect Statistics Canada's most current information available on the travel trends of visitors to Canada.